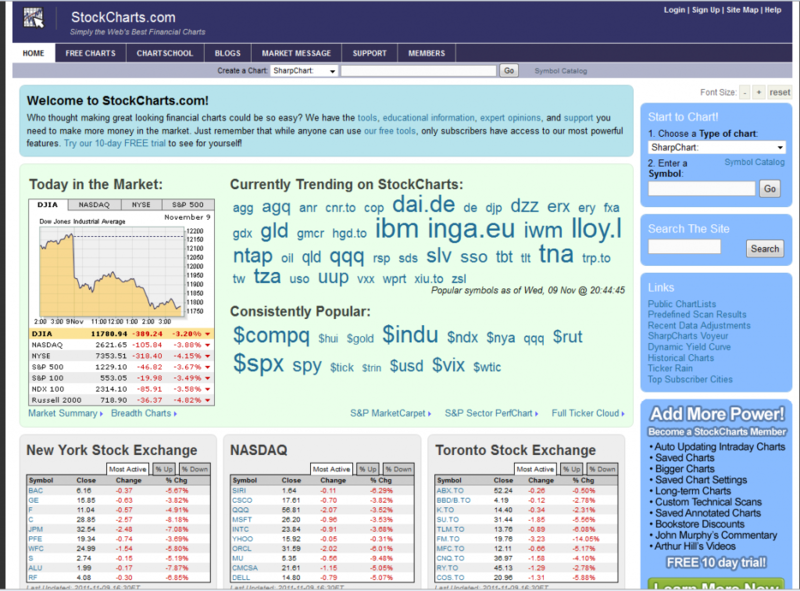 Notes: A great site for technical analysis information, stockcharts.com has a comprehensive section called “ChartSchool” where you get as much technical info as you can handle. There are several great articles in this area that explain fundamental and technical analyses, as well as incredible sections on different chart types. The greatest feature about this site (and there are several) though has to be the extensive section on technical indicators and overlays. If you hear about different types of indicators like a MACD (moving average convergence divergence) or a moving average and you want to know what they mean, you’ll want to check out this section of their site.